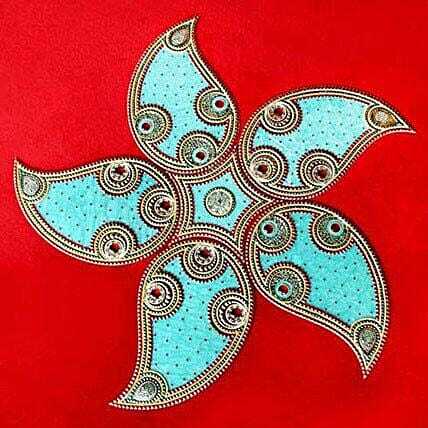 The beauty of this turquoise colored Rangoli is all you need to present to your near ones to celebrate the true essence of Diwali. Your Gift Contains:Rangoli. Keep it away from fire.